For decades, “lifestyle intervention” has been the first recommended treatment for Type 2 diabetes. What exactly this phrase means will vary a bit by person, but it generally involves adopting an exercise regimen and working to follow a healthier diet. For most people with Type 2 diabetes, though, trying to adopt these changes ultimately won’t be enough to adequately control blood glucose levels, and taking a medication will be the next step. Even so, a question remains: When, if ever, is it too late to embark on a lifestyle intervention program? 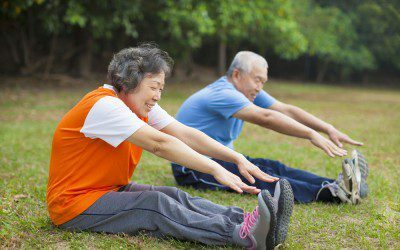 Due to both the assumption of ingrained habits and certain physical risks associated with intense exercise in older adults, many doctors have been reluctant to recommend intensive lifestyle intervention to seniors. But a new study shows that in at least some cases, intensive programs for seniors can be highly beneficial. Presented earlier this month at the annual meeting of the Endocrine Society in Boston, the study — which is still ongoing and hasn’t been published — has so far only seen 13 participants complete the interventions being tested. As noted in a MedPage Today article on the study, each participant — who was 65 to 85 years old (with an average age of 70) and had Type 2 diabetes — was assigned to either an intensive lifestyle intervention group or a control group for 12 months. Members of the lifestyle intervention group went through two phases of the study, each lasting for 6 months. During the first phase, they attended a class on diet once a week and had supervised exercise training three times a week. During the second phase, they attended diet classes only twice a month and exercised on their own, either at a fitness center or at home. Members of the control group attended monthly meetings where they received diabetes and nutrition education, and where their body weight was recorded. They got no intensive training on exercise or their diet. By the end of the first 6 months, the benefits of the intensive lifestyle intervention were apparent. The intervention and control groups had similar average HbA1c levels (a measure of long-term blood glucose control) at the beginning of the study period. But after 6 months, the average HbA1c level in the intervention group had fallen by 0.7%, while in the control group it had gone up by 0.2% — a stark difference of almost 1.0%. The intervention group also lost an average of 4.6 kilograms (10.1 pounds) of body fat, compared with only 2.1 kilograms (4.6 pounds) in the control group. This included an average loss of 0.2 kilograms (0.4 pounds) of visceral fat — especially harmful fat that surrounds organs — in the intervention group, compared with no average loss of visceral fat in the control group. Members of the intervention group also had a higher trabecular bone score, a measure of bone quality, while this score dropped slightly in the control group. While the benefits of intensive lifestyle intervention seem obvious based on this study, there are a few reasons to be cautious about applying its lessons too broadly. One is that the study is still under way and quite small — once the study reaches its goal of 100 participants and is completed, the results will be more meaningful. Another reason to be cautious is that while each participant in the study had Type 2 diabetes, people with diabetes complications or other complicated health conditions were excluded from the study. In the real world, of course, many people with diabetes have other health conditions — like arthritis and cardiovascular disease — that may make intensive lifestyle intervention unrealistic or unwise. What’s your take on this study — is it encouraging to know that many older adults can still benefit from major lifestyle changes? Do you wish a program like the one in the intervention group were available to you? Do you think you could make major lifestyle changes without a structured program like the one in the study? Do you suspect that your other health conditions or other factors — like your finances, or job or family obligations — would rule you out as a candidate for intensive lifestyle intervention? Leave a comment below!